We sadly announce the sudden passing of Terry on Sunday, February 17, 2013. Terry (a troubled soul now at peace) is survived by his wife Carol, daughter Christy and son Garrett; his mother Eleanor, brother Randy (Joan), sister Lori (Brad), Uncle Harold (Lynn); nieces and nephews, Chris and Braden Vickerson, Mark, Tanya, and Cohen Ross, Kari, Del, Ethan, and Lily Moulton; cousins Virginia, Ron Holt and family; Sandra, Jim Pratt and family, Michelle (Bob) Funk and family; and many good friends. Terry is also survived by his in-laws Allan and Sheila Gehrke, Raymond (Darlene) and family and Colleen (Bob). He is predeceased by his grandparents, father Albert Ross (August 10, 2005). Terry spent his childhood on the farm at Carmangay. He graduated from Vulcan High School in 1975. Sports, especially curling and basketball, along with 4-H were a part of his school years. 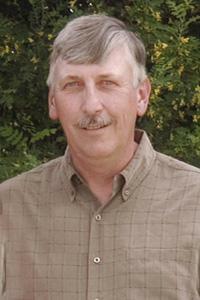 Terry attended college in Lethbridge for 2 years, and graduated in May 1977 with a diploma in Agriculture. With the exception of some construction jobs in the winter, and one year spraying foam insulation, he began a lifetime of farming. His weary hours and days of pain, his troubled nights are past, and in our aching hearts we know, he has found sweet rest at last.